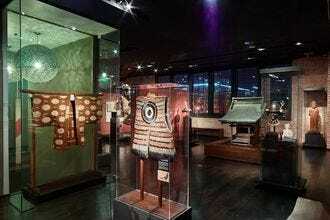 Dallas certainly has no shortage of family-friendly activities and attractions. 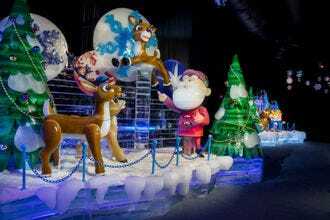 But there's no need to compromise your own day out just to keep the kiddos entertained: these fun-filled outings offer something for all ages–from tots to teens and everyone in between. There's not a better place to find the most attractions in one location than Downtown Dallas, the city's (as well as the state's) most walkable neighborhood. A good place to start is at the Perot Museum of Nature and Science, one of the best science museums in the country– featuring five floors of enough mind-blowing exhibits to fascinate kids and grown-ups alike. 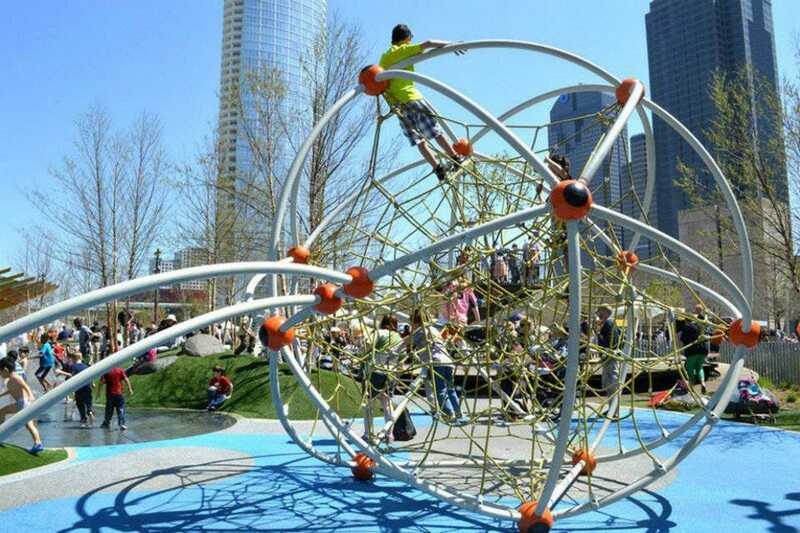 Further down is the Klyde Warren Park, a 5-acre deck park featuring children's spaces, lawn games and activities like yoga, musical performances and film screenings. There's also the Dallas World Aquarium, a wonderland of exotic creatures from the sea as well as the land. 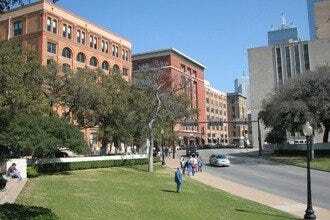 Want to explore Dallas' wild landscape? Even many locals are not aware that the city is home to one of the largest urban hardwood forests in the nation. 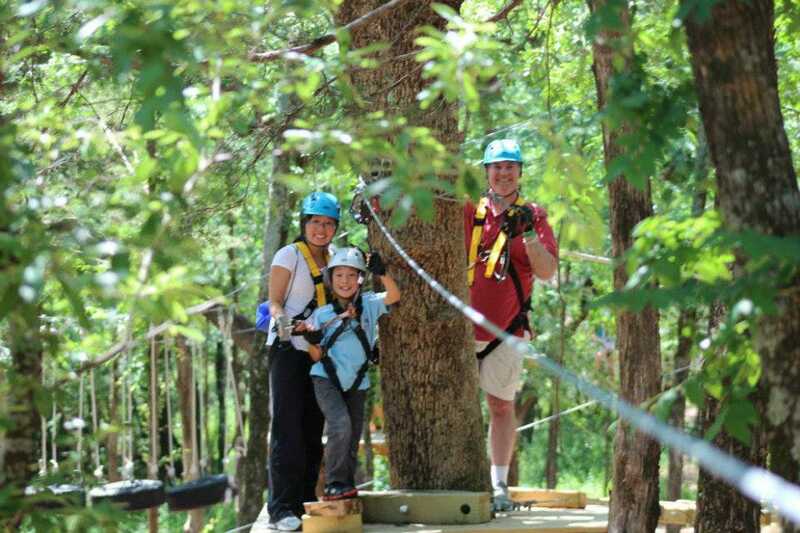 One of the best ways to experience it on a high-flying aerial adventure at Trinity Forest Adventure Park. 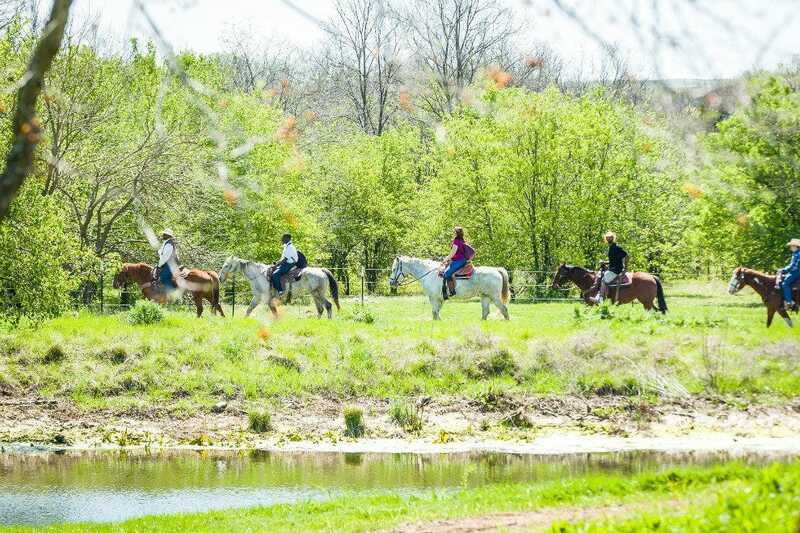 For a more grounded option, you can take a ride through the forest on horseback with the folks at River Ranch, located at Texas Horse Park. 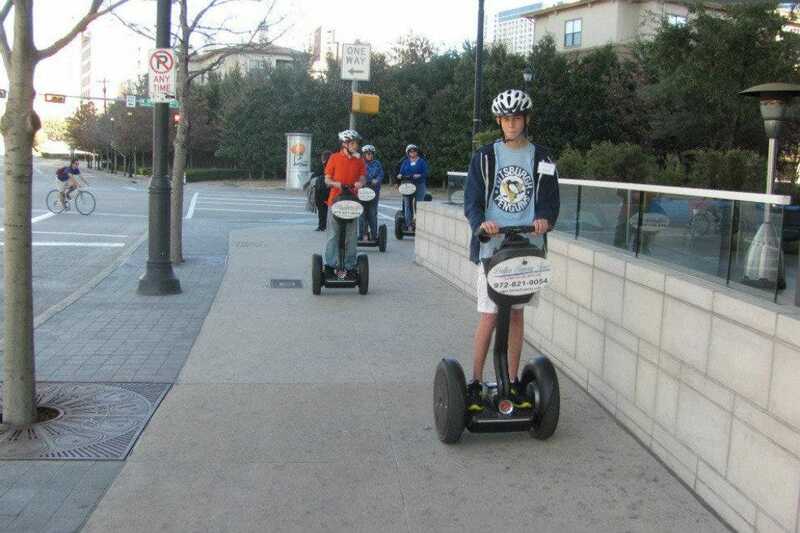 And though teens can be a tough audience to please, you certainly won't have any issues with boredom if you take them on a rolling tour of the city with Dallas Segway. Need more inspiration and ideas for family fun? Then consider this your to-do list for keeping the whole brood entertained in Dallas. 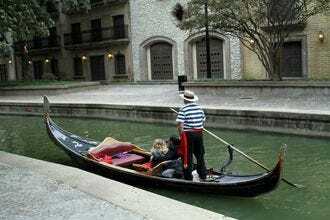 Looking for the quintessential Texas experience? 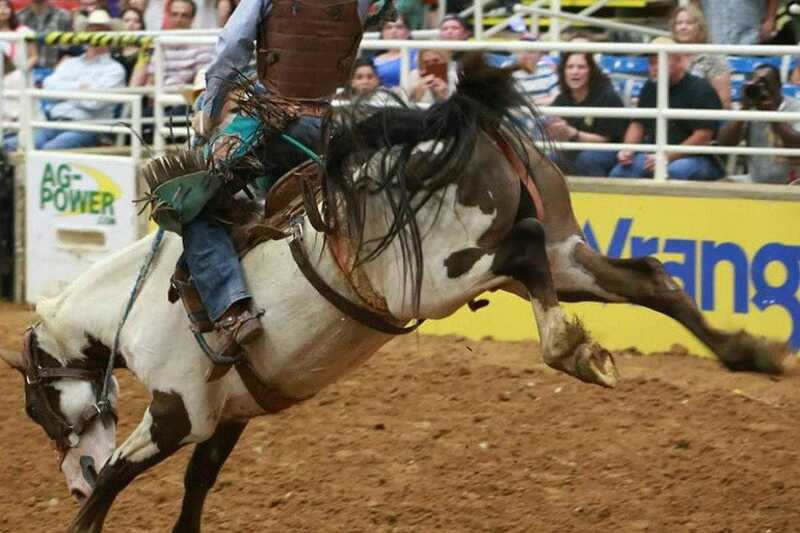 Then head to Mesquite, the official Rodeo Capital of Texas (14 miles east of Dallas), where you can witness the thrills and spills of the Mesquite Championship Rodeo every Friday and Saturday night throughout June, July and August. Going strong since 1958, the rodeo offers a bucket full of family-friendly action, ranging from steer wrestling and barrel racing to bull riding and mutton busting. And it's not only the activity on the dirt that keeps crowds entertained, but there's also a posse of other attractions to enjoy, including everything from headliner concerts and laser shows to face painting, pony rides, petting zoos and even taking a spin on a mechanical bull. Keep an eye out for the winter rodeo (in December)and the hip hop rodeo (in the spring), as well as a variety of other events (concerts, circuses and bull riding), held throughout the year. When it comes to entertaining your teen, you can't go wrong with a ninety-minute tour from Dallas Segway. 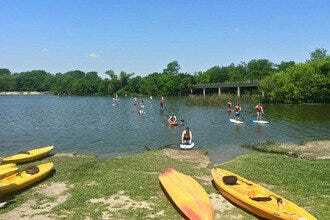 The company offers sightseeing tours of all the famous Downtown landmarks as well as a nature glide down the Katy Trail, a popular hike-bike trail that winds through parts of Uptown and Highland Park. There are no special skills required and they'll teach you all you need to know to get rolling. The tours are open to anyone age 14 to 70, though riders under 18 must have a parent or legal guardian co-sign a liability waiver. 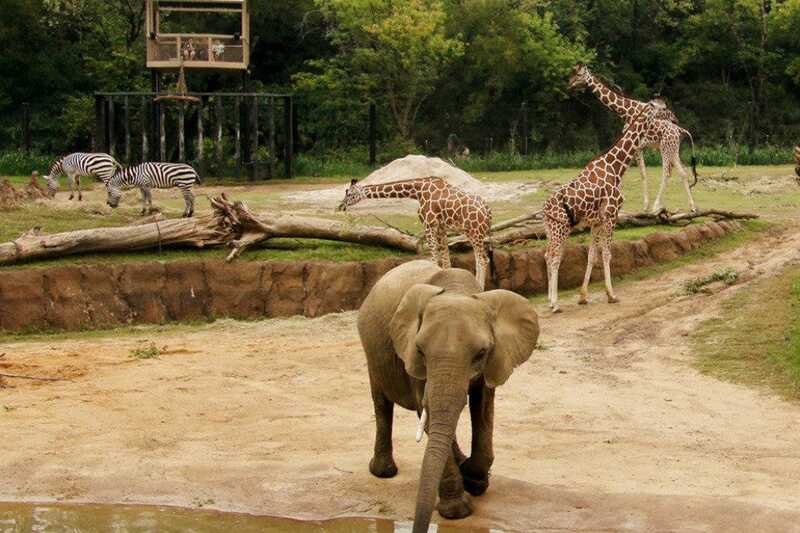 Home to over 2,000 animals (from roughly 400 species), the Dallas Zoo is the oldest and largest zoological park in Texas (established in 1888). But there's more going on here than your usual walk-through animal exhibits: The zoo is committed to conservation and breeding programs for numerous endangered species and as such has constructed many of the enclosures to replicate the animals' natural habitats, one of which includes the award-winning Giants of the Savanna, the only multi-species zoo exhibit in the United States to mix elephants and other species in the same habitat. Along with a monorail safari through areas not accessible by foot, there's also a children's zoo complete with interactive exhibits, a petting farm, pony rides and a nature-inspired swap shop where kids can exchange items. Daily presentations include animal encounters and a giraffe feeding experience, plus the zoo hosts an assortment of special events throughout the year. This 80,000-square foot, indoor-outdoor aquatic paradise will make you forget about the municipality swimming pools of your youth. 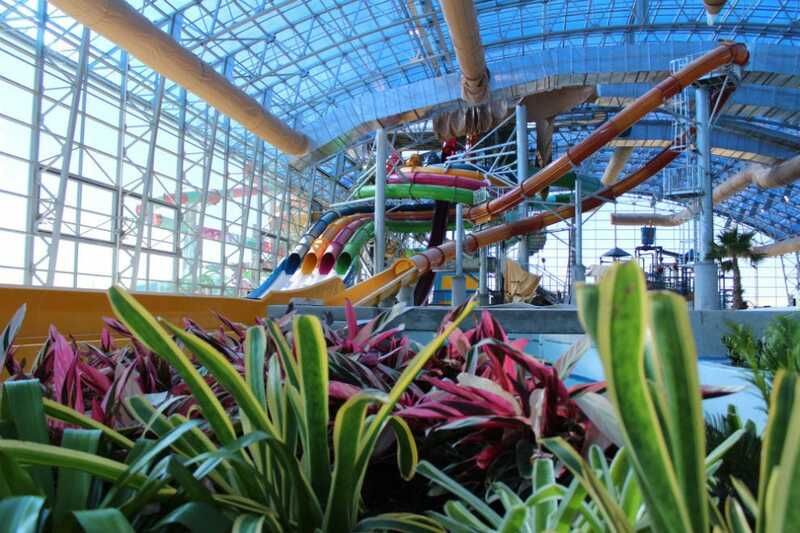 Owned by the City of Grand Prairie, the waterpark features eleven different waterslides, including the nation's tallest indoor Aqualoop and the first indoor double rider Aquasphere inner tube ride. Not into water slides? No problem, the park also boasts a surf simulator, a 10,000-square-foot wave pool, a kiddie play area and one of the longest lazy rivers in America. Add in a 4,000-square-foot arcade, a café and a full-service bar and good luck convincing your family to leave. Best of all, you don't need to wait for summertime to get your splash on, the park is open year-round. Nestled inside a massive refurbished warehouse in Dallas' Historic West End District, this privately-owned aquatic wonderland is home to countless varieties of marine life (many of which are endangered) from all over the world. In addition to stingrays, piranhas, electric eels, poison dart frogs and Orinoco crocodiles, the aquarium boasts a 20,000-gallon walk-through exhibit brimming with hundreds of Indo-Pacific fish-- as well as a forty-foot long glassed-in tunnel filled with sharks circling overhead. But there's more than fish that meets the eye, visitors can commune with everything from three-toed sloths, manatees and giant river otters to penguins, snakes and even ocelots. There's also a lush three-level (seven stories in height) recreated South American rain-forest-- complete with free-flying birds, pink flamingos, monkeys and a 400-foot waterfall. Not-to-be-missed are the animal talks and feeding sessions held throughout the day. 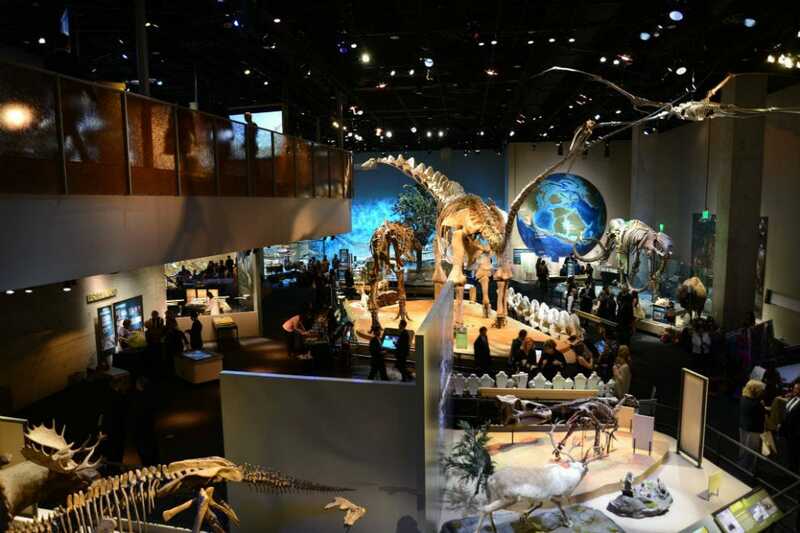 Whether you're a science buff or just have a curious mind, the world-class Perot Museum offers a treasure trove of goodies that are certain to fascinate visitors of any age. Opened in 2012, this stunning 180,000-square-foot architectural gem, designed by Pritzker Architecture Prize Laureate Thom Mayne and his firm, Morphosis-- features five floors of mind-blowing exhibit halls filled with hands-on activities, interactive kiosks and a state-of-the-art multimedia cinema. 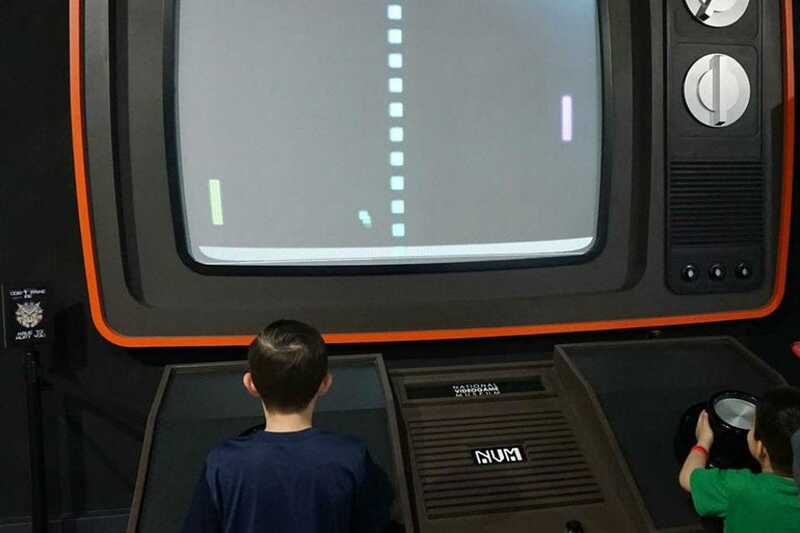 Highlights include a children's museum with a dinosaur dig, a hall of gems and minerals with a 5-foot geode and an earth hall where you can experience an earthquake. A good way to start is to take the external glass escalator up to the top and work your way down while enjoying the panoramic views of downtown Dallas. 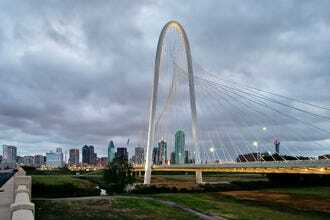 Perched atop a sunken freeway, this nationally acclaimed 5-acre oasis is just one of the examples of what makes Dallas' downtown area so dynamic. The park was opened in 2012 for the purpose of encouraging more pedestrian foot traffic to the area as well as to be a central gathering place for locals and visitors to enjoy. Today, the resplendent space abounds with year-round programming, ranging from fitness sessions, dance lessons and lawn games to children's entertainment, musical performances and film screenings. There are also special areas within the park allocated for kids, for dogs and for playing board games. In case you work up an appetite after all of the activities, you can tempt your taste buds at the park's chic gastro-pub, Savor, it's companion kiosk, Relish-- or from a variety of food trucks stationed along the side. 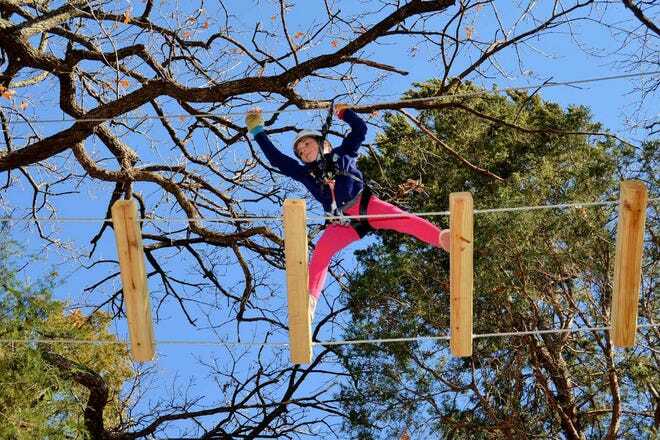 Just minutes from downtown Dallas lies Trinity Forest Adventure Park, a seven-acre combination obstacle course and zip line park where families can soar, swing, scramble and climb to their heart's content. 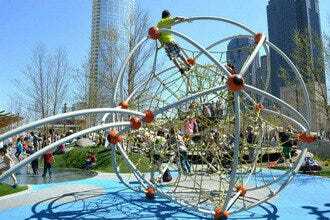 Designed for ages four and over, the park boasts over twenty zip-lines (from 10' to 75' above ground) and 70 different elements (cargo nets, wobble bridges, tight ropes and the like) which are spread out over eight aerial obstacle courses, each with varying elevations and challenges. The courses are all self guided to allow everyone to move at their own pace, but it's important to watch your time since tickets are only valid for three hours.